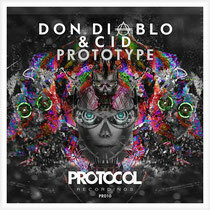 Protocol Recordings, Nicky Romero's music platform, recently released the official previews for Don Diablo and CID's new single, ‘Prototype’, due out on September 9th. After teaming up for a remix of ‘Give It All’ featuring Alex Clare, Don Diablo and CID are back on form. ‘Prototype’ is an acid-laced track that serves as a testament to the duo’s collaborations. Still riding the wave of Nicky Romero and Krewella's ‘Legacy’ single and remix package, the label comes through with this new track from the duo. The two make use of an inventive melody, a warm, distorted bassline, big drums, and catchy vocal samples to build the track up to the climax. With a brief vocal cue, the track drops into the main acid house segment, which at times cuts back to the intro for a fresh dynamic. Have a listen to it below.